An easy to follow full two week Korean meal plan, which will make dieting and cooking easy and enjoyable. 35 Korean recipes that can be easily prepared at home, without wasting time or spending a lot of money. A Kpop workout plan that can be easily integrated in your busy daily schedule, which will help you to lose weight. An introduction on what the Korean diet is, its health benefits and why it will work for you. A grocery list with all the important ingredients is provided, which will make shopping so much easier. You will find a variety of tips, tricks and hacks on how you can make the Korean diet a part of your daily life. 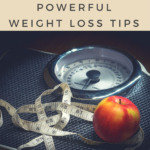 Additionally to all the amazing tips in the main book, we would like to introduce you to 37 more weight loss hacks that will super charge your weight loss. 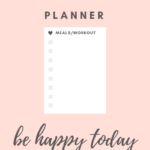 This weight loss planner will help you to take track of your daily meals and workouts. It will make your weight loss journey much easier. 14 day no questions asked money back guarantee. I have been looking for a good diet that I can implement in 2018 and because I love Korean food this one seemed like a good choice. I bought the book and I really like the way everything is explained in detail. The recipes are amazing, i already cooked some of them and I follow the meal plan in the book. I will update you guys on my journey. But so far I am very happy with this purchase. Thank you for writing this book. Great recipes and I love the way you explain everything. Thank you for reminding me @chubby coconut. Here is my update: I bought the ebook a month ago, i read the book and implemented as much as possible into my life. In the beginning, i thought that it would be difficult to get the ingredients for the recipes but i realized that most of the ingredients were actually available in my neighborhood. The recipes are therefore easy to cook. And they taste wonderful. After 4 weeks of sticking to this diet and the meal plan I lost 7 kilogram and I feel better than ever. I also started doing some sports and i couldn’t be happier. I will stick to this diet for longer and I am sure that i can lose more weight in the coming weeks. Definitely give it a go. I discovered so many new things during the last four weeks. I think you will see similar success to me. Good luck! Best purchase I have ever made for my health and diet. The book is a great help in my daily diet and I like the additional weight loss hacks you provided for free as a bonus. This is such a simple and easy to follow take on dieting and living healthy. I stumbled upon your website, not knowing anything about Korean food and I am now fascinated by it and cooking your tasty recipes as often as possible. And yes, I did lose some weight (10lbs) since i started eating Korean food. But what is more important is that I feel overall healthier.